Kimberly Ellison-Taylor has a diverse background in finance and technology; she is currently a global strategy leader at Oracle. She has held positions at NASA’s Goddard Space Flight Center, Motorola, KPMG, and in Prince George’s County (Maryland) government. From 2016 to 2018, Ellison-Taylor served as the 104th chairman of the American Institute of CPAs. Notably, she was the youngest person, fifth woman, and first person of color to serve as chairman in the AICPA’s 130-year history. Ellison-Taylor’s 14-year tenure at Oracle has given her an extensive perspective on artificial intelligence, big data, cloud, and emerging technologies. She has used this knowledge and experience to lead strategy and innovation in the accounting/finance profession. Ellison-Taylor has a BA in information systems management from the University of Maryland Baltimore County, an MBA from Loyola University Maryland, and an MS in information technology management from Carnegie Mellon University. Tabitha is a shareholder and chair of the ESOP team at Devine, Millimet, with a national practice focused on Employee Stock Ownership Plans (ESOPs) as succession and employee compensation strategies. In addition to counseling clients regarding transactional, compliance and fiduciary issues with respect to their ESOPs, she has represented companies, sellers and internal and external trustees in ESOP transactions ranging from under a million dollars to over four hundred million dollars. She is a frequent speaker at ESOP conferences nationwide and presents regularly on how ESOPs can be an effective exit or transition planning tool for owners of closely held businesses. Tabitha serves as a director and former President of the Vermont Employee Ownership Center (VEOC), is an active member of The ESOP Association serving on its Legislative & Regulatory Committee, the National Center for Employee Ownership (NCEO), and also serves on the Board of Trustees for the Employee Ownership Foundation. Suzanne McDowell, co-CEO / CHRO / VP of Human Resources at King Arthur Flour. Rob Downey is a lawyer and food entrepreneur based in Burlington, VT. In 2003 he co-founded Third Place, Inc. to craft and fund strategic partnerships in farm-to-table restaurants and other local food and beverage concepts. Currently Third Place owns and operates American Flatbread Burlington Hearth and Zero Gravity Craft Brewery, and are co-founders and partners in The Farmhouse Group of restaurants including Farmhouse Tap & Grill, El Cortijo Taqueria Y Cantina, Guild Tavern, and Pascolo Ristorante. Rob is Chair of the Board of the Intervale Center, and a Fellow at Vermont Law School’s Center for Agriculture and Food Systems. He also serves on the advisory boards of several local companies, including Aqua Vitea and Skinny Pancake. Re-energize your passion for the accounting profession and learn how to create a culture of AWESOMENESS at your firm! The day will be jam-packed with learning and networking, yummy food and drink, including Zero Gravity's Conehead beer-tasting, and plenty of laughs. Maybe you'll win an iPad or Amazon gift card during the social hour! Snap photos with old and new friends in our classic photo booth! 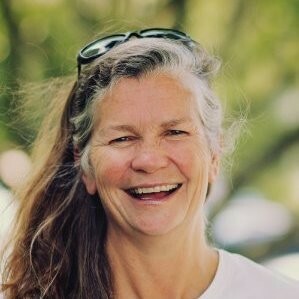 Suzanne McDowell, Co-CEO of King Arthur Flour, will share KAF's success story and how the energized employees make that happen every day. Tabitha Croscut, Esq., of Devine Millimet, will tell us how an Employee Stock Ownership Plan can offer mutual benefits for owners, employees, and the company as an ownership transition and liquidity option. Slide Deck Improv with Kristen Rampe, CPA It's the perfect intersection of entertainment and professional education. Skill Enhancing, Confidence Building, Exceptionally Fun! Are you game? Zero Gravity Brewery - CEO & Co-Founder Rob Downey will talk about how they expanded to a 30-barrel brew house located on Pine Street in Burlington's South End Arts District. Rob's presentation will be followed by a Zero Gravity Beer Tasting. 2019 Annual Business Meeting & Election of New Board Members and Officers. Join us in welcoming Gwen Flewelling as the incoming Chair and giving thanks to outgoing Chair, Christopher Plumpton for a rewarding 2018-19.
Who's Joining the Board? This year's nominees include several Young Professionals Committee Members; incoming Chair-elect April Jamieson and new Board Members Matthew Cleare, Angela Guinness, and Andrew Lamson. All-Inclusive Fee! 8 CPE Hours, Breakfast, Lunch, Refreshment Breaks, and Networking Social Hour with Open Bar and heavy hors d'oeuvres. Oh, and don't forget to pop into the photo booth for fun--that's included, too!